Business owners, especially those born between 1946 and 1966, are at a higher risk of not saving for retirement. Help to not think about retirement will help them portal tecasinow.wordpress.com. The information gathered there will teach you how to multiply your capital. In fact, the 2016 Retirement Preparedness of the Boomer Generation by the Insured Retirement Institute showed that â€œAmericanâ€™s today are less prepared and less confident about their prospects for a comfortable retirement than ever before.â€ The issue isnâ€™t a lack of wanting a retirement savings, for everyone wants a secure future, rather itâ€™s more about how to parse limited available dollars to start and maintain a retirement savings. More important is the critical need to change the entrepreneurial mindset from the sale of the business as the retirement nest egg to actively saving now. Â Selling the business is a dangerous plan as market volatility can shift quickly and at all the wrong times. What if thereâ€™s another recession or an industry shift inhibiting a profitable sale of the business? Often the contingency plan is to â€˜delay retirementâ€™ which brings its own set of issues related the ownerâ€™s health, quality of life and business sustainability. SEP Plans â€“ Simplified Employee Pension (SEP) plans are a tax-deductible retirement plan and are a good choice if you are the companyâ€™s only employee.Â Employers typically set up an Individual Retirement Account (IRA) or annuity for each plan participant. You can contribute up to 25 percent of your compensation, up to $53,000. If you have employees, you will also need to fund SEP-IRAs for them as well. SIMPLE Plans â€“ If your business has 100 or less employees who received at least $5,000 in compensation last year, a SIMPLE IRA plan may be a good business fit. Under the SIMPLE plan, employees can choose to make salary reduction contributions rather than receiving these amounts as part of their pay. As the employer, you will make matching or non-elective contributions to the plan as well. 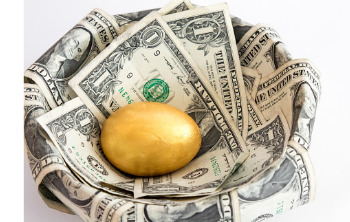 Two types of SIMPLE plans are the SIMPLE IRA and SIMPLE 401(k). Qualified / Defined Benefit Plans â€“ These plans involve a more complicated set of rules than the SEP and SIMPLE plan rules. Defined-Benefit Plans have employeesâ€™ retirement benefits pre-determined by their compensation, years of service and age.Â For example, the plan may specifically outline that an employee will receive $100 per month at retirement or provide a graduated retirement benefit based on the employeeâ€™s last five years of employment wages. Qualified plans have an adoption agreement and basic plan document which outline how the plan must operate. The employer formally accepts the plan by passing a resolution, completes the adoption agreement, and notifies the employees with a summary plan description (SPD). Note that defined-benefit plans are becoming increasingly rare.Â If you have a third party administrator (TPA) handling your 401(k), they should provide the SPD and many of the administrative requirements of the plan. Solo 401(k) plans – Only available to self-employed individuals without any employees the Solo 401(k) plan can be a good option for sole proprietorships The IRS allows a contribution, pre-tax up to 25% of your compensation pus an employeeâ€™s contribution of up to $18,000 (or $24,000 if youâ€™re 50 or older). Total contributions cannot exceed $53,000. SIMPLE 401(k) â€“A group retirement plan available for businesses with 100 or fewer employees, the SIMPLE 401(k) is a versatile savings program. The nice feature of this plan is that employees can borrow against the money in the account and make penalty-free withdrawals due to financial hardship. Just remember that any â€˜borrowedâ€™ amounts must be repaid or penalties will be enforced. Maximum contribution amounts for 2017 are $12,500 and $15,500 for people age 50 and older. The defined contribution limit, other than for catch-up contributions is $54,000 for 2017. The catch-up contribution maximum for 2017 is $6,000 and $3,000 for SIMPLE plans. Additionally, the catch-up contribution cannot exceed the lesser of the catch-up contribution limit, or the excess of the participantâ€™s compensation over the elective deferrals that are not catch-up contributions. From sole proprietors to small business owners with less than 100 employees, thereâ€™s a retirement plan that can fit your needs and your budget.Â The important message is to start a plan, continue to invest and build the retirement you envision.